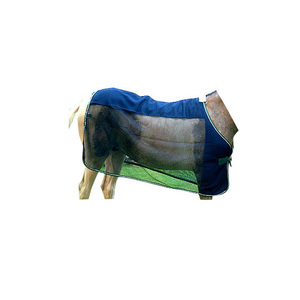 Horse protection mesh fly sheet The flying pests are confused by the way that the light reflects off the black and not off the white. 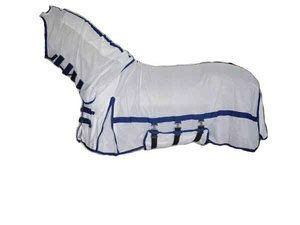 The lightweight poly/nylon mesh allows natural air circulation over the horse which helps to keep the flies and insects away. 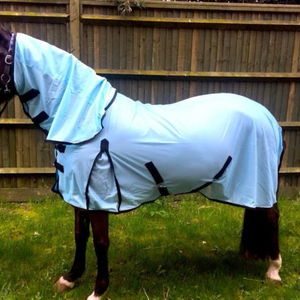 When using a blanket or a sheet on your horse it is critical to monitor the fluctuating climate and temperatures even with a blanket that is waterproof and breathable. 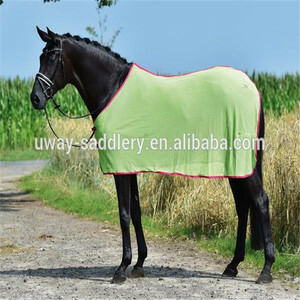 Horse Products Fly Sheet Hooded Fly Mesh Rugs Horse Products Fly Sheet Hooded Fly Mesh Rugs Basic Characteristic: All purpose economy horse rugs,very soft and durable,it will not rub or irritate the horse, soak in sweat. 1). 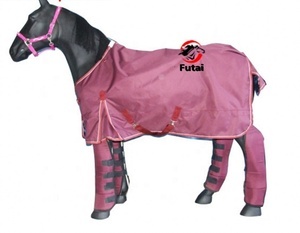 Provides protection of the body and neck of the horse 3). 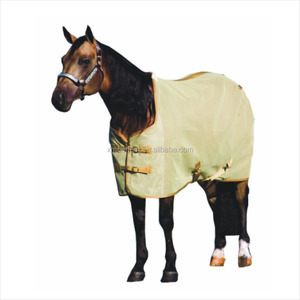 If you want to customize other styles of Horse Products Fly Sheet Hooded Fly Mesh Rugs We assure you of our best services at all times. We can provide you excellent products in good quality and reasonable price. We have our own design and sample group and can cooperate with you on your own design . If you need more information or have any questions, ple ase do not hesitate to contact us.Thank you! Mesh Fly Sheet The flying pests are confused by the way that the light reflects off the black and not off the white. 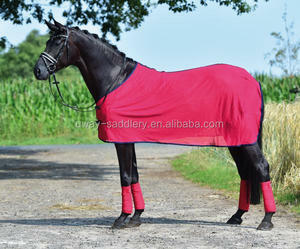 The lightweight poly/nylon mesh allows natural air circulation over the horse which helps to keep the flies and insects away. 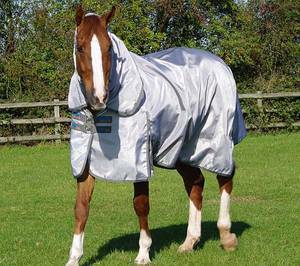 When using a blanket or a sheet on your horse it is critical to monitor the fluctuating climate and temperatures even with a blanket that is waterproof and breathable. Base on the high quality and best price, we own a nice reputation all over the world. If you are very urgent to get the price, please tell us so that we will regard your inquiry priority. 6.What about the lead time for mass production9 15-20 working days for mass production. OUTER EDGE All edges heat-sealed and reinforced with polyethylene rope. 2)Bale Packing: 20'GP Load around 11 Tons ; 40'HQ Load around 24 Tons. 3)Carton PAcking: 20'GP Load around 9 Tons ; 40'HQ Load around 20 Tons. 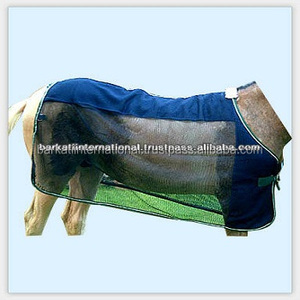 Alibaba.com offers 122 mesh fabric fly sheet products. About 19% of these are horse rugs. 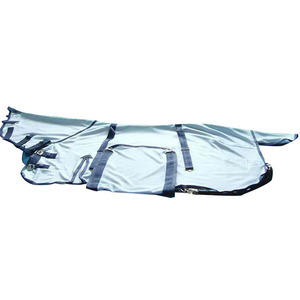 A wide variety of mesh fabric fly sheet options are available to you, such as cotton, polyester. You can also choose from free samples. There are 42 mesh fabric fly sheet suppliers, mainly located in Asia. The top supplying countries are China (Mainland), India, and United Kingdom, which supply 85%, 11%, and 2% of mesh fabric fly sheet respectively. Mesh fabric fly sheet products are most popular in North America, Western Europe, and Northern Europe.